Below is a link to a short film from New Zealand that features a track from one of my releases from my net label, Num Num Nah Records. Special thanks to my friend Paul Summers for using one of my tracks. My contribution is the abstract drum beat during the scene when the two guys are talking in the car (which comes from the release "DJ Leon Lamont - Free Grooves"). 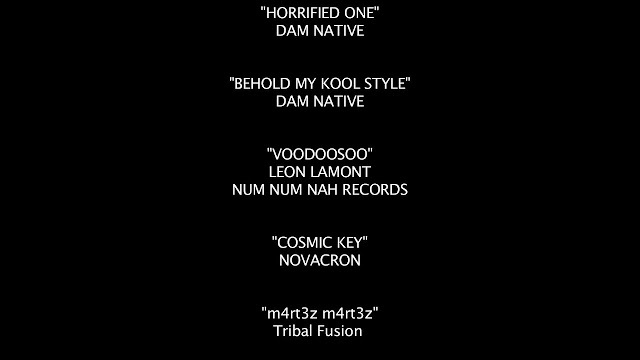 Always fun to see my name at the end of a film during the credits (especially when they include Num Num Nah Records). Num Num Nah Records is a net label that has free downloads of mostly original music. I welcome and encourage independent filmmakers to use tracks from the label if they think a track fits a scene in their works. It's royalty free and only requires mention of the track, artist, and label in the film credits.